Experiencing somebody’s art is tricky. To get the most out of a piece of art, you can look at it from many different angles. Where was the artist in their life when they created the piece; what was their life up to at that point; what are their influences and previous pieces as this could be a response or an evolution on their previous pieces; etc… But these are from the artist’s point-of-view. But the person experiencing the art piece can ask the same questions about themselves and it will equally affect how they interpret the art piece. What is the context of you experiencing this piece of art? In essence, it’s all about timing and context, and sometimes we have no control over the time of when we experience the piece and how it will affect us. I played FFXV at the right time to cause those feelings of past bondings to overflow and left lingering feelings of not wanting the road trip to come to an end, especially not as abruptly as it does. Context is the only real control that can be set before a game can be experienced as well as other art pieces. Well… maybe only designed context (designer-driven context) can be set before you experience a part of a game. Designed context is context created by the designers of the game, things like how much do you know about the characters ate this point, what was the progression of the characters so far and how did the characters interact with one another up until this point. How much of the world do you know about at this point? How sympathetic are the characters at this moment and are their motives sympathetic or evoke empathy? Is the moment well-scripted, thoughtout, directed, acted, etc…? 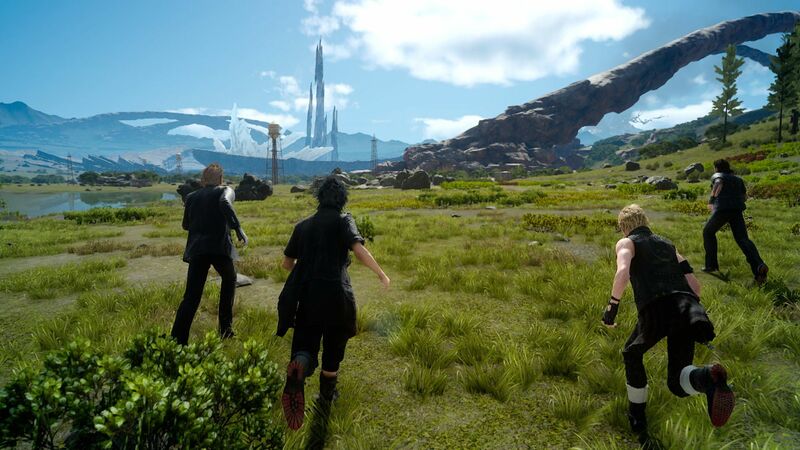 Obviously designed context wasn’t the only thing that affected me when playing FFXV though it did help evoke the reminiscing feelings that I was talking about. 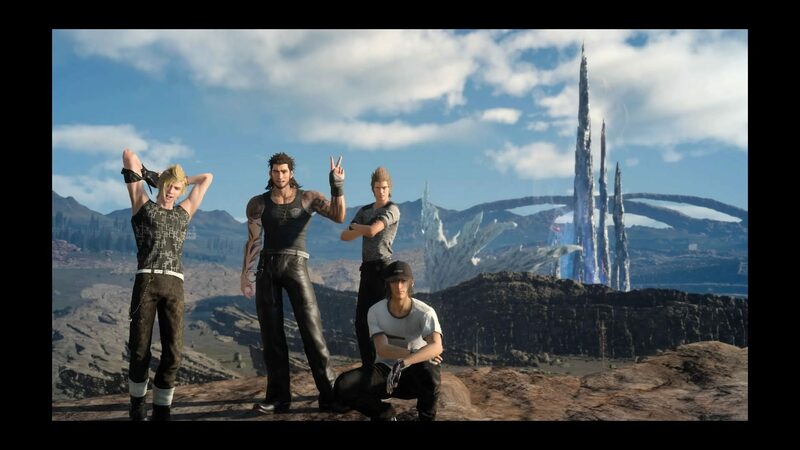 The dynamics between Noctis, Gladio, Prompto and Ignis were well written and well acted making the banter between them feel organic, playful and showed their shared history with one another. The kind of context that makes it so we understand and gravitate to the context that the designer creates is the personal context that we bring to the game, and this is the one that affects you the most when experiencing a game. Personal context includes things that aren’t a part of the designed experience that relate to the game directly like how much knowledge of the characters do you know outside of the designed experience, either from spoilers from parts later in the story, the culture that the game is set in, the background of the game’s development and so on. It comes from where you are in your life and what have you been through in life. Have you ever been through a bad breakup? Have you ever lost a friend over a stupid argument? Caught up in a love triangle? Gone to war with the thoughts that you’d never come back? Do you know the cultural symbols and norms of where the game is set in and the implications of your choices within those norms? It comes from how well you can relate to the characters in the story or the dilemma that they find themselves in, not because the characters are an everyman with a blank whiteboard of a personality, but because they are a character that is going through the same kinds of struggles that you find yourself in with the same insecurities and similar means of dealing with them. It becomes less of a projection of yourself and more of a mirror into how you work or how you would/could deal with a situation. Do we really need Personal Context? Is a game more impactful because of the player’s personal context (player-driven context) that they bring to the game? I don’t think that all games need to be in line with a player’s personal context because sometimes the designed context is enough to get the most of a game. Portal and Portal 2 are great examples of this because all of the jokes, the puzzles, the whims of the characters are self-contained within the game and moments of self-reflection don’t really add much to the experience of Portal and Portal 2, unless you’re a game designer perhaps. Uncharted is a partly a game with a self-contained designer-driven context model, where most of the games’ stories help you to understand the dilemmas that the characters are in, the dynamics between the characters and the world that they live in. The romantic relationship between Nate and Elena, from budding romance to settled-but-conflicted family-man. The father-son relationship of Nate and Sully and the jealous and envious older brother relationship between Nate and Sam. The designer’s do a good job illustrating the different dynamics that these relationship archetypes generate. The way we experience these can be heightened by our own personal context but it doesn’t add a new layer to the game by the player having a similar shared personal context to the game’s characters. You could argue this is because the story does a great job at giving both sides of the story and enough context to make the intentions of everyone clear so that personal context isn’t necessary to understanding all sides or that they pick conflict tropes that people understand already so they don’t need personal context to understand it at a deeper level. Just because the game has a designed context around the moments within the game doesn’t mean that some games don’t benefit from the player bringing in their own personal context. Obviously I think Final Fantasy XV benefited from having player-driven context. With the heavy-handed emphasis on friendship and brotherhood that they pushed, and the pressure and conflict that comes with people having different ideas of what is the right thing to do and the compromises that we all make, it can become a fantastic reflection on your own life where when real-life tries to break up the fun where do your priorities lie and will your friends be supportive of your decisions or will they try to set you straight. But enough about FFXV. This wasn’t the first game to get me to really start thinking about how important player-driven context is in how it affects your experience with a game. The most recent game to really get me to appreciate player-driven context was That Dragon, Cancer. That Dragon, Cancer is probably a game that I won’t play for another year or so. Why, you ask? Because I know a bit about the background of the game, a game where the developer had a son fighting for years with cancer through the revolving door of the hospital. 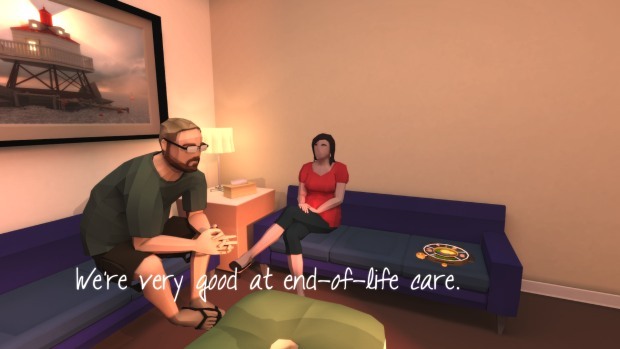 The game was meant to show the helplessness that a parent goes through while the doctors tell them your kid doesn’t have much time left, so you watch them waste away in a hospital bed. You try to make their time alive as comfortable as possible but ultimately you see nothing come of it. So why do I want to wait on playing such a game? Because, while I never would want to live through that, I do want to wait to have my own kid so that I can be closer inline with the developer’s mindset to understand what they were going through. Conceptualizing some version of my kid and how I would feel versus a flesh and bone version of my kid whom I’ve already bonded and envisioning the same scenario are two completely different experiences and an experience that I can only have once. And like the idea of self-reflection that player-driven context can bring, it becomes less of an expression of how the developer felt through that hopelessness and pain and more of an expression of how you would feel through the hopelessness and pain. A game, much like all forms of art, has multiple interpretations. You view a game with the mindset that you have at the time and it becomes the lens that colors your experience of the game, but the most meaningful experiences have usually been the ones that left me staring at my own subconscious instead of staring at the developer’s. Because of that, it means to get the most out of game it means you ironically need to not play them. A life lived with the spectrum of experiences and emotions, moments of pain and joy and heartache and enamor, help you get the most out of a game especially when you mindfully accept and allow yourself to feel that spectrum instead of drown it out. It also means it might be time to go back replay some of the old games every so often, since now your minds-lens is a different tint and you might find some new meaning with these new eyes that you bring. So when is the right time to play a game? I don’t know. But right now it’s when my context and the story’s is the most closely related is my guess. P.S. I know that I’ve focused mainly on player-driven emotional/experiential context, but cultural context matters as well. And while I don’t want to make this an aside, it is important in how we understand a game and I’ll probably devote a different article to this in the future. I agree with your point here to a certain extent. While I agree that being able to identify with a character is important, I also think we tend to find things to empathize with even if the character on the screen is nothing like us (which I’ve talked about a little on my blog, too). We naturally want to relate to other people, so we will often try (consciously or subconsciously) to find something that “speaks” to us about a certain character. This is a topic that definitely fascinates me, and certainly experiencing something in media at the “right time” in your life can have a profound and lasting impact. Great post!